Every business seeks a bigger profit margin, and so should you. But, many companies still end up making minimal profits. Well… the most common reason is that these businesses think that increasing sales is the only path to increased profit margins. If you plan to boost sales, then you will probably need to hire a new sales rep. That means you need to invest time, money, and effort in hiring the right sales rep for your business. But as you can probably know from experience, all of that investment doesn’t necessarily mean that you hired the right person. But, let’s say that you did hire the right person, a successful sales rep. Now, your sales increase. With this, you have to buy new trucks and hire new drivers to accommodate the increased demand. Then your overhead shoots up. But what if you over-estimate the demand or if sales suddenly drop off? You have new trucks without the customer demand to pay for them. Not only are you without profits, but now you’re in the red. Let us go over the math. According to a 2016 study compiled by New York University Stern’s School of Business, the average American trucking business has a net income profit margin percentage of 4.19%. So how does this translate? Let’s go with the example that your business does good and makes $1,000,000 in sales. With a profit margin of 4.19%, your business only claims $41,900 of profit each year. All of your work, investments, and assumed risk only gets you roughly four cents to the dollar. To keep with the same scenario, your sales rep does a great job and increases sales by 20%. Congratulations, your company can say that it has $1,200,000 in sales. With all of that additional effort, you’re still only going to claim a profit of $50,280. So, is the extra $8,380 of profit really worth all of that effort and increased risk? Well… it’s really just not enough of a margin to give your business any real advantage. Let’s keep going with this example to consider all of the additional costs that focusing just on increased sales brings into the picture. The entry level sales rep that you hired will cost at least $25,000 in payroll, before even considering benefits or commission bonuses. This is as per PayScale study. Now let’s consider the additional driver. We will low ball it and say that this driver is willing to work for $20,000 in his or her first year. But, what is the new driver going to drive? So, you need an additional truck that will more than likely be over $50,000. According to another report, a truck consumes an average of $70,000 in fuel during the first year. As any operator can attest, the scheduled maintenance, unscheduled repair, permits, licenses, and toll costs also get their vote. As your sales increase, so will your operating costs. Eventually, the increase in sales leads to breaking thresholds of things like the amount of work that your drivers can do. So, it’s time to hire more drivers, buy more trucks, and so on. Oh yeah, if your truck fleet gets big enough you will also have to consider your mechanics as well. So here’s the reality: if your profit margin is small as it is, then expanding could easily eat into that profit margin to the point that your business is in the red. 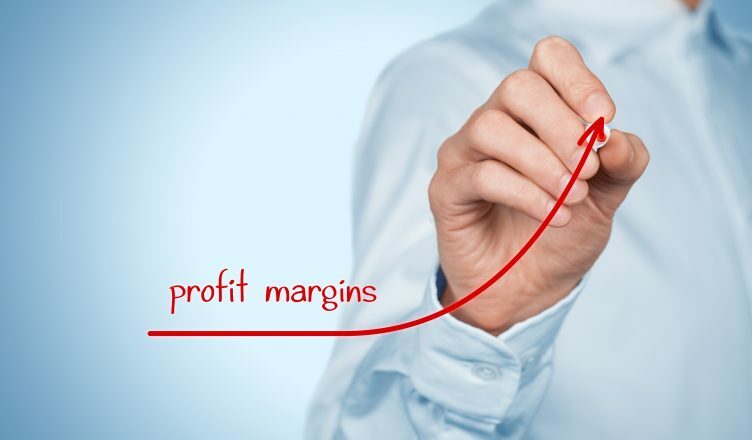 Now, do you think your reduced profit margins can survive while increasing sales? Of course you can focus on making more sales, but at the end of the day, there is more money to be made by increasing the profit margin instead of sales. Because if your business model’s profit margin is small, you are not going to make more money no matter how much sales increase. There is an easier way you can increase your profits, and that is by simplifying operational efficiency by using tools like electronic route optimization software for route planning. Many businesses still plan their routes on pen and paper, or they use legacy software (decades old). This naturally makes their routes messy. You simply cannot guarantee 100% accuracy of the routes planned. Your drivers get inaccurate routes, which frustrates them, and that affects their productivity. You will have delays in delivery. This ultimately reflects on customer satisfaction and revenue generated. Another reason why most businesses do not have an efficient route planning process in place is in the hiring process. They hire managers or executives who do not have the required expertise in the transportation industry. This leads to zero innovation, and the use of manual processes over and over. When compared to efficient practices, this leads to a loss in both revenue and profits. This truth tends to apply more so with small, family-owned businesses because the owner just grew into the role and does not possess the necessary experience or training. But, you can nullify such instances when there is a routing optimization software in place. It’s been proven that a routing software combined with the smartphone GPS tracking feature can boost efficiency by 30% or more, and the profit margin goes up to 5.447%. This means that you don’t need to create additional expenses through increased sales. With the same team and vehicles, you can increase your profit margin. So, with the original example of $1,000,000 in sales, you can make a profit of $54,470. That means just with a 1.2% increase in profit margin, you can increase your net profit by 25%. Where does that profit go? Directly to your bank account, that’s where! So what’s investment for the systems? Just around $3,000 to $12,000 annually depending on the number of drivers on your team. These costs are much lower than your total truck, fuel, driver, maintenance, etc. costs. So, just think. How would this position you against your local, regional and national competitors? How would an additional 1.3% of profit margin put you against your competitors? Now, let’s see what are several ways a planning and routing software can help you save time, effort, and generate larger profits. One of the biggest advantages of a fleet route planning software is that it cuts down on your route planning time significantly. In fact, you can plan your route in 30 seconds! Can you imagine just 30 seconds when you are used to manually planning your routes on pen and paper? All you need to do is just upload the list of customer addresses that need to be visited. The vehicle route planning software will do the complex calculation, and will provide you an optimized route within 30 seconds. Most importantly, the route planned will already have the constraints factored in such as weather, traffic, one-way roads, sunrise/sunset, and more. When you manually plan routes, you have to explain to each driver the specifics of the assigned routes. The job could get more difficult if you have a driver that is unfamiliar with an area. You need to put additional effort into making sure that he or she understands all of the route’s little details. This leads to a waste of both your and the driver’s time. However, you can get around these things with a dynamic route optimization software™ easily. You do not need to explain routes because the drivers can see it on their smartphones. The GPS generated map displays all of the small details of the route, down to each turn and road hazard. So, they don’t need to go through any team huddles as they will get an optimized route before they even hit the road. This saves both of your time and helps the drivers to focus more on productivity for you. A fleet routing software factors in all of the latest updates, while planning routes. Hence, your drivers stay updated and have 100% accurate routes. Even if you need to make changes during the middle of the day… it will update your driver’s route without affecting fixed drop-off times for other customers. Unlike manual planning, you don’t need to feed in new data about the routes into your GPS devices. 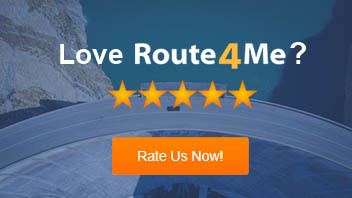 With routing software, you can even have a continuous evaluation of route optimization. This keeps everything neatly aligned with zero headaches for you. Imagine the time and effort you could save with this! With manual route planning, you will have no idea of where your drivers are at a given moment. If they do not make a timely delivery, you will get to know only after you receive a customer’s complaint. The drivers could put off their delayed delivery by claiming excuses like traffic, breakdown, and so on. With manual route planning, you can’t verify if they are telling the truth. So, you will be more dependent on your drivers, which could prove to be deadly for your business. In fact, they should instead be dependent on you. A lose control over your drivers can only ensure downfall of your business and not growth. But, you can reduce your dependency on drivers with the help of a planning and routing software that comes with a GPS tracking feature. It helps you to track what your drivers are doing on the road in real time. For example, if they are speeding, or spending more time at customer locations, taking personal stops, and so on. This gives you a tight control over your drivers and helps you to provide constructive feedback, or gather supporting details needed to fire a driver. We all know that a customer’s needs can change anytime. For example, you might get a call from a customer asking for an urgent delivery. Satisfying such dynamic requirements is difficult but if you can do it, it will build the foundation of that all-important long-term relationship with the customer. This is because they will then find you as a credible and reliable vendor for all types of needs. Here again, vehicle route planning software proves to be of immense help. The GPS tracking feature helps you identify which driver is nearest to the location of the customer. You can then assign the new route to the driver to satisfy the customer’s requirement. Moreover, if any customers asks for ETA, you can let them know the exact time on the spot, or inform them in advance about any delay as you will be on top of driver’s whereabouts and make a prediction without assumption. So, unlike manual route planning, you can modify routes at any time… even if the drivers are on the road. The amount of time drivers take at each stop might seem unimportant at the initial stage. But, if you sum up the figures at the end of the day, it would look significant. Here’s an example: your drivers take 10 seconds to check-in and another 10 seconds to check-out. That means 20 seconds are spent at each stop. If each driver makes 50 stops, it is almost 17 minutes that are wasted per day. If they work 22 days a month, each driver wastes over 6.2 hours every month in just menial pauses in productivity. This figure shoots up based on the number of drivers you have. At first, you might think that your drivers are too busy and that you need to hire a new driver. But after looking at the numbers, you can realize that this isn’t true. You can easily use your existing driver to make more deliveries. And this is made possible by route scheduling software. The software comes with a geofencing technology that doesn’t require a driver to check-in and check-out manually. When a driver reaches a destination, the system checks them in automatically. The same concept goes with check-outs as well. In this way, the driver can cover more routes and make more stops with the time saved. So, you’ll get the same productivity as you would normally get without additional expenses. Who likes receiving customer complaints? Well… no business ever really says “yes” to this. But, there could be sometimes that you will end up facing disgruntled customers. It’s not always going to be that your business is at fault. The customer might complain about a non-delivery or delayed delivery, even if it was there on time. However, with a fleet routing software, you can manage such complaints easily. It provides every nitty-gritty delivery detail such as the time the driver turned up at the customer’s location or how long they were there. So, when a customer complains you can show them your data in black and white. Moreover, routing software comes with an eSignature feature which protects your business from any false complaints. An eSignature is nothing more than a customer’s electronic signatures. Your drivers can capture these on their smartphones once they make a delivery. The driver can also record the location, date, and time that the signature was captured. With such information, you’ll have documented verification that the delivery was on time. This could be highly useful if there are any disputes later on. This way, you can not only nullify any customer disputes but also improve your customer experience without any glitches. So, in a nutshell, you should focus more on improving the performance of every individual driver and your operations instead of just trying to grow sales. This is what a routing optimization software can help you with. So, when is your business going to adopt routing software? Do you have any questions? Please feel free to leave your comments below, we’d love to hear from you.